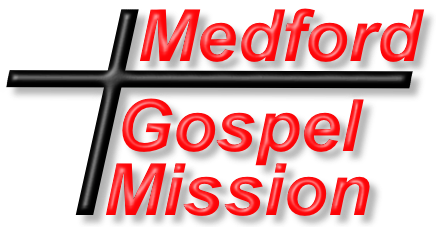 The Medford Gospel Mission is a Christian non-profit that seeks to love God with all our heart, soul, mind, and strength, and loving our neighbors as ourselves. Out of our love for God flows our love for our entire community, especially the people in it experiencing homelessness. And what better way to show that love then sharing with them the Good News of the gospel of Jesus Christ. This is why all our restoration programs are Christ-centered focusing on grace and faith from a biblical perspective. We do use bible-based curriculum but faith in Christ is not a prerequisite for enrolling in our programs. With that said, only 2% of our overnight guests identify as agnostic or atheist. The vast majority of our guests (65%) identify as Christian and the majority of these guests regularly attend a local church. Upon entering the mission 43% of our guests state that they seriously want our help to actively work on their relationship with God while staying at the Mission. 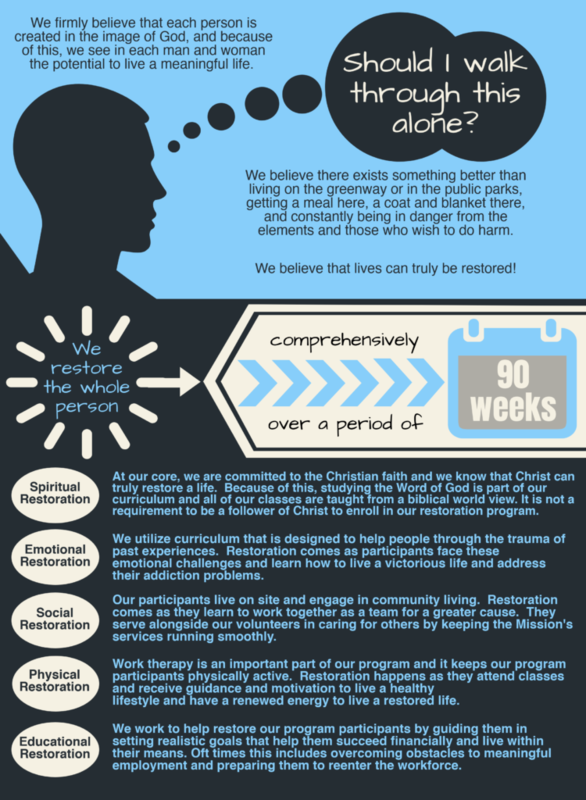 Christ-centric restoration happens as we walk along side men and women equipping them to address the challenges that they face in these five key areas: spiritual, emotional, social, physical, and educational.